Ponchos were Ed’s first foray into business, but the now co-founder of Great Lakes Potato Chip Company (GLPCC)—a member of Cherryland Electric Cooperative—would carry that entrepreneurial spirit his entire life, eventually leading him—along with his son and business partner, Chris Girrbach—to open Pangea’s Pizza Pub in Traverse City. Even more, it was that same spirit that inspired a growing interest in manufacturing. Ultimately, deciding where they would strike out next came down to a simple question: “Dad, what do you like?” asked Chris. Ed thought for a moment and replied, “Well, aside from pizza, I like potato chips.” And the idea for GLPCC was born. 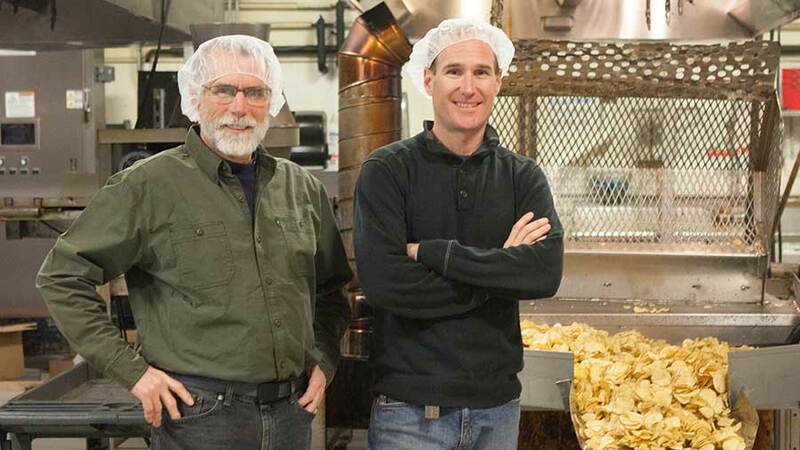 The Girrbachs threw themselves into researching potato chips; and on May 5, 2010, they founded GLPCC with two part-time employees and one old fryer to begin manufacturing their favorite—skin-on kettle chips. 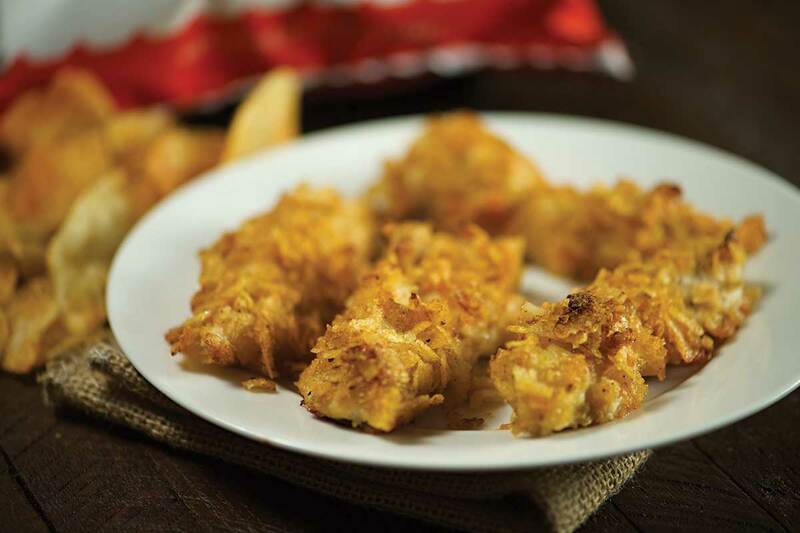 Check out this homemade chicken finger recipe made using GLPCC’s Michigan Cherry BBQ chips. In the eight years since, the chip company has experienced tremendous growth and won numerous accolades, including being named “Number One Kettle Chip” by The Chicago Tribune, and “Most Investable Second-stage Food Company” at Crain’s Food Summit. They also received a “Gold” rating for kettle and tortilla chips at the Saratoga Springs Chip Festival—the birthplace of the potato chip. 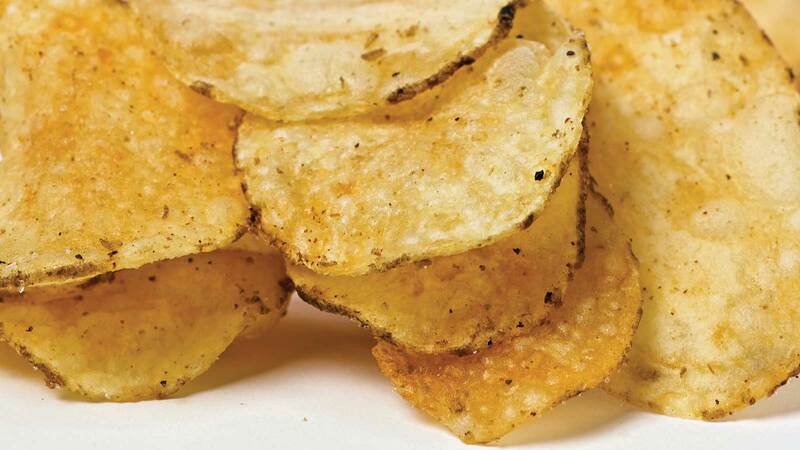 Today, the chip company produces seven flavors of kettle chip, a tortilla chip, has 16 distributors, retails in seven states, employs 30 people, and is growing at a rate of 30 percent per year. All this growth means more potatoes, and Michigan has no shortage—it’s the leading producer of chipping potatoes in the nation. The Girrbachs developed a special relationship with Sackett Farms in Mecosta—a HomeWorks Tri-County Cooperative member—to supply their potatoes. Sackett Farms is a sixth-generation, family-owned farm specializing in A-grade chipping potatoes, whose crop is in high demand. Chipping away at the potato chip industry, the Girrbachs eventually sent more than a pickup truck to Sackett Farms. Now, a semi-truck delivers 120,000 pounds of potatoes a week—and they are looking for more. The chip company has invested nearly half a million dollars in automation to double its capacity to keep up with demand. With each upgrade, Ed and Chris look closely at the most energy efficient equipment as part of their commitment to sustainability, and they value their partnership with their electric cooperative. 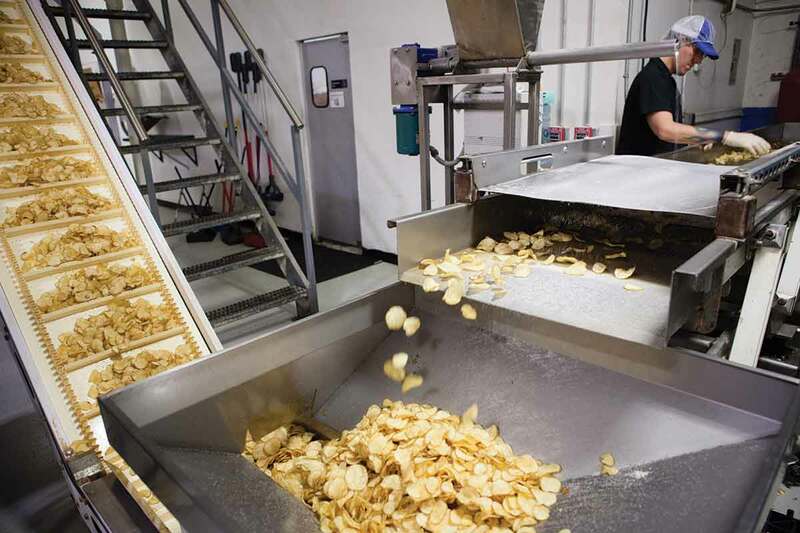 As Great Lakes Potato Chip Company continues to grow, Ed takes great pride in his Michigan-made products, their highest-quality ingredients, and their unique process to get a crispier, crunchier, tastier chip. James Curtis is the director of communications at Wolverine Power Cooperative. James and his wife and daughter live in Cadillac where they enjoy making music and exploring the Michigan outdoors together with their ancient, yet spritely, miniature pinscher, Dakota. GREAT ARTICLE JAMES! I LIVE IN CADILLAC ALSO (AM BROKER/OWNER OF ADVANCE REALTY) & AM PROUD WE/CADILLAC HAVE THE LARGIST SOLAR POWER GRID IN NORTHERN MICHIGAN! 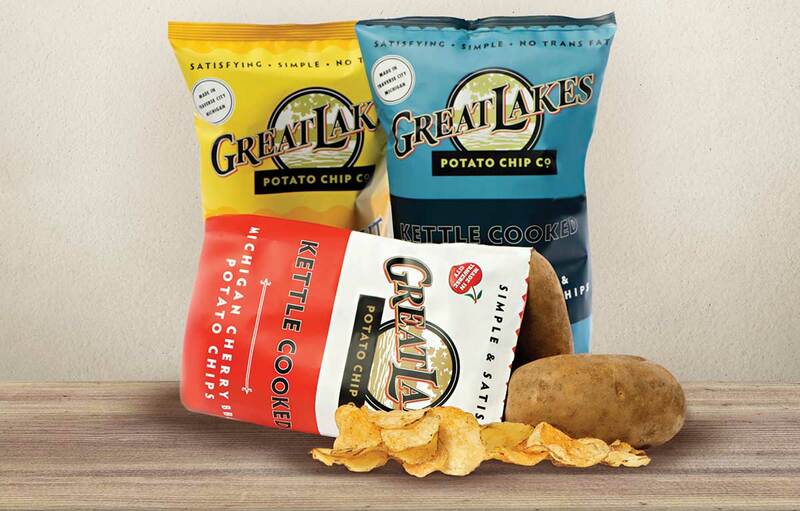 MY BROTHER LOVES KETTLE CHIPS – WHERE IN NORTHERN MICHIGAN CAN I BUY THEM?? Cadillac Family Fare and Walravens both carry Great Lakes Potato Chip Company’s chips. They are also available at the Meijer in Traverse City. What’s the brand name of their chips?